Personal information is information, recorded in any form, about an individual whose identity may be inferred or determined from such information. It does not include the name, title or business address or telephone number of an employee of an organization. By providing us with your personal information, you agree that we may collect, use and disclose the information in accordance with this policy. If you do not agree with these terms, you are requested not to provide any personal information to Coldwell Banker The Real Estate CentreInc., Brokerage. Since some services can only be offered if you provide personal information, if you choose not to provide us the required information, we may not be able to offer you those services. Why do we collect, use and disclose your personal information? Personal information may be collected, used or disclosed for any of these identified purposes. If your personal information is not needed for one of the identified purposes, we will not use or disclose it without obtaining additional consent from you. From you, on a Listing Agreement and related document; for example your name, address, telephone number, email address, property details, and mortgage information. From you, on a Buyer Agency Agreement (or Customer Agreement), Agreement of Purchase and Sale and related documents; for example, your name, address, telephone number, lawyer’s name, and financial information. From your interactions with us; for example, verbally or through your written instructions to us regarding access to your property, website Registrations and online requests. 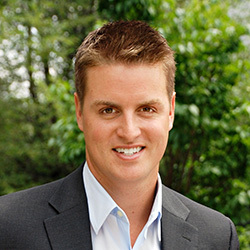 If you provide personal information to us or through any of the previous mentioned sources, you do so with the understanding that your personal information may be used or disclosed for the identified purposes among us, the above sources or third parties, and that Coldwell Banker The Real Estate Centre Inc., Brokerage may verify such information, or obtain personal information about you by checking with government agencies, credit bureaus and other fact collecting and verifying entities to assist us for the identified purposes. Your knowledge and consent are required before we may collect, use or close your personal information, except in special circumstances, such as during a fraud investigation, or an investigation by the police, or in situations otherwise permitted by the law. If we are obliged to disclose information without consent, we will not disclose more information than is required. In some circumstances, your consent may be implied, for example if you have been receiving varied market newsletters, and you request a change of address to receive future newsletters, it is assumed that the consent, which you gave to us, originally remains in effect. You many withdraw your consent at any time upon reasonable notice, subject to legal or contractual restrictions. Please note, however, that withdrawing your consent may affect our ability to continue to provide you with our professional services. To withdraw your consent, you should contact our Privacy Officer at [email protected] Unless we hear otherwise from you, you are giving us your consent for the collection, use and disclosure of personal information as provided in this policy for the identified purposes. Your personal information is retained only as long as we need it to fulfill its identified purpose, and for a reasonable length of time thereafter in case we need to meet any potential obligations or legal or government requirements. Whether stored in electronic or paper-based format, Coldwell Banker The Real Estate Centre maintains security systems to prevent any loss, modification, misuse, disclosure, or unauthorized access to your personal information. When we no longer need your personal information, we take the same care to destroy it as we do when storing it in order to prevent unauthorized access. You have a right to access your personal information that we have in our possession to ensure that it is as accurate and up-to-date as necessary for the identified purposes for which we use it. If any information needs to be amended to reflect a change in your situation, we make every effort to update our records. If you want to review your personal information, please make your request [email protected], telling us specifically as possible which personal information you are requesting. If you believe that your personal information is not correct, you may request the appropriate change, or you may request us to delete the incorrect information. You also have a right to know which third parties have received information from us. We will provide a list of organizations to which we may or have disclosed the information. We will endeavour to provide requested information within a reasonable time and no later than 30 days following the request. Before granting access or making corrections, we will require sufficient information from you to allow us to confirm your identity. This website is provided on an “as is” basis without warranties of any kind. You expressly agree that the use of this site is at your own sole risk. 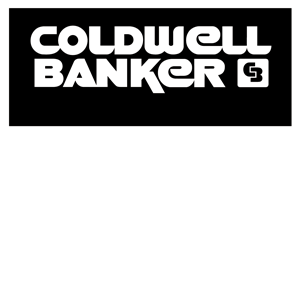 In no event shall Darcy Toombs, or Coldwell Banker the Real Estate Centre Inc., Brokerage be liable for any direct or indirect damage or loss in any way connected with the use of this website.